This is the judgment of three teenage girls on what for me was a really rather excellent horror movie. But then again, Hereditary is not really a film for kids. There are no jump scares, no masked stalkers or terror in the woods or screaming girls or shrill, shrieking soundtrack. It's been dubbed 'The Exorcist for this generation' – but perhaps only if we're talking Gen X. 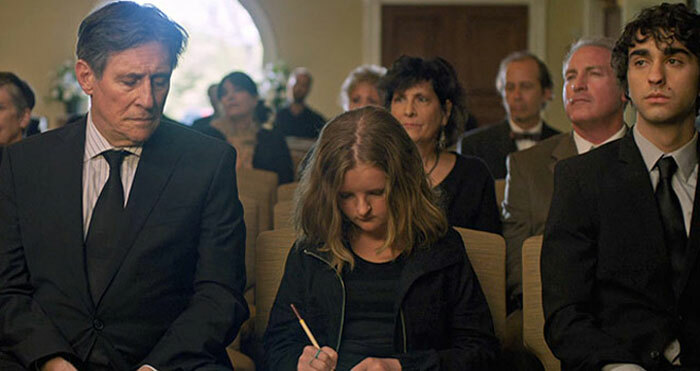 Like Lars Triers much-hyped Antichrist (but way, way better), this similarly talked-up film is all about loss and guilt and blame, an anguished study into the torturous extremities to which grief can push us. Toni Colette plays Annie, an artist who creates creepy miniature replicas of buildings and people, and who appears to be almost entirely absorbed by her work, emotionally distant from her husband Stephen (Gabriel Byrne) and children Peter (Alex Wolff) and the slightly spooky, possibly autistic Charlie (Milly Shapiro). Annie's mother has just died, yet the family seem to have little affection for the old lady, with nary a tear shed. Yet their impassive faces as grandma's consigned to the cold earth are symbolic of the masks this family wear every day, behind which lurk dysfunction and distress, dark, private, inner worlds that everyone else can only guess it. Yes, yes, yada, yada – inner torment, a maelstrom of grief, fractured relationships and mental health issues by the bucketload – but is it actually scary? To be honest, scary is not the word. Was I quivering behind my hands barely daring to look at the screen? No, I was not. Did I, at several moments, audibly gasp and clap my hands over my mouth because something utterly unexpected and horrific had just happened? Yes, I did. Was I confronted by sudden, visceral images that slapped me across the eyes like a wet towel and will probably be impossible to rinse from my mind at 3am this morning? Yes, I was. And of course, as anyone whose seen Psycho or Misery well knows, horror isn't just about what you see, it's about what you hear as well, and the soundscape for Hereditary includes some noises you never want to hear again.